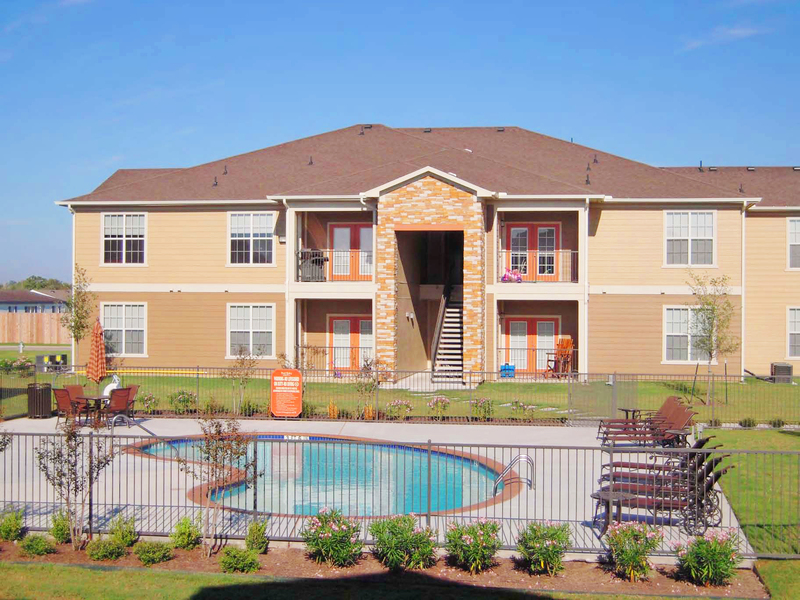 Point Royale Apartment Homes is a Class A apartment community located in Victoria, Texas. Point Royale was constructed in 2012 and is comprised of 120 units. In addition, the property contains a resident clubhouse, swimming pool, fitness center, business center, gated entry, covered parking, high speed internet and cable. All of the buildings are situated on 11.413 acres and a combined gross building area of 119,648 square feet. Each unit on the property contains a patio or deck and has an exterior entrance. The property has an attractive unit mix of 32 1bd/1ba units, 48 2bd/2ba units, 40 3bd/2ba units, totaling 120 units. Most units contain washer/dryer, private patios/balconies, ceiling fans, oversized closets, microwaves, dishwashers, electric stoves, and refrigerators. Point Royale Apartment Homes is located in a thriving Texas secondary market. The city of Victoria is considered a regional hub of Texas’ “Golden Crescent”, an area comprised of seven counties serving a retail trade are of over 250,000 people, and known as the “South Texas Crossroads” because of its location at the intersection of three major U.S. Highways connecting Victoria to Houston, Corpus Christi, San Antonio, Austin, and Laredo. The city has sustained a healthy environment for business due to its access to major highways, a regional airport, railway terminals, and large ports. The Eagle Ford Shale, an oil and gas producing shale play spanning 30 counties in South Texas and projected to support nearly 70,000 jobs by 2020, is partly supported by the city of Victoria’s port access. Point Royale is strategically placed near retail, educational and employment centers.